Los Angeles (Spiritsman) 3/8/18/–St Patrick’s Day – all are available at Belcampo and Prince in Los Angeles. 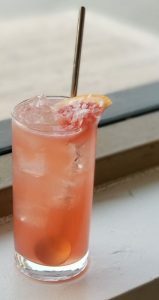 Method: Build in highball or Collins glass, stir well, top with soda water & pinch of sea salt. 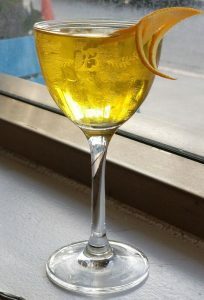 Method: Stir in mixing glass, strain into cocktail glass, garnish with an orange twist. Method: Pour all ingredients into a cocktail glass and stir together. 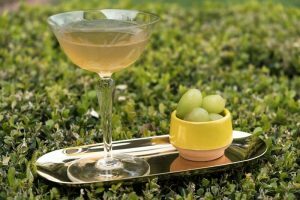 Garnish with 3 grapes. Method: Stir all ingredients in a mixing glass and pour into a chilled coupe. In tin, whip 3 oz heavy whipping cream. Layer cream with bar spoon on top of cocktail. Garnish with clover leaf stencil sprayed with green chartreuse and a few drops of green food coloring. “This is a White Russian riff with a ton of depth and complexity. I paired Celtic Honey Irish liqueur with the black strap rum because the honey compliments all the black strap spices. 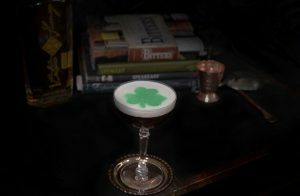 Get Lucky Knappogue Castle 12 Year Irish whiskey, Knappogue Castle 12 Year Irish whiskey, Los Angeles (Spiritsman) 3/8/18/--St Patrick’s Day - all are available at Belcampo and Prince in Los Angeles., St Patrick’s Day Cocktails permalink.